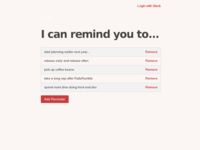 Remindy notifies you via Slack of tasks that you need to complete. These tasks can occur any time in future or on a recurring basis. Recurring tasks have not yet been implemented. 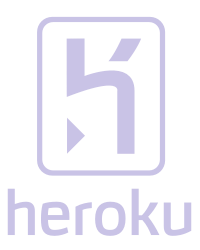 The idea is to have Remindy post to any Slack channels to which permission is granted. 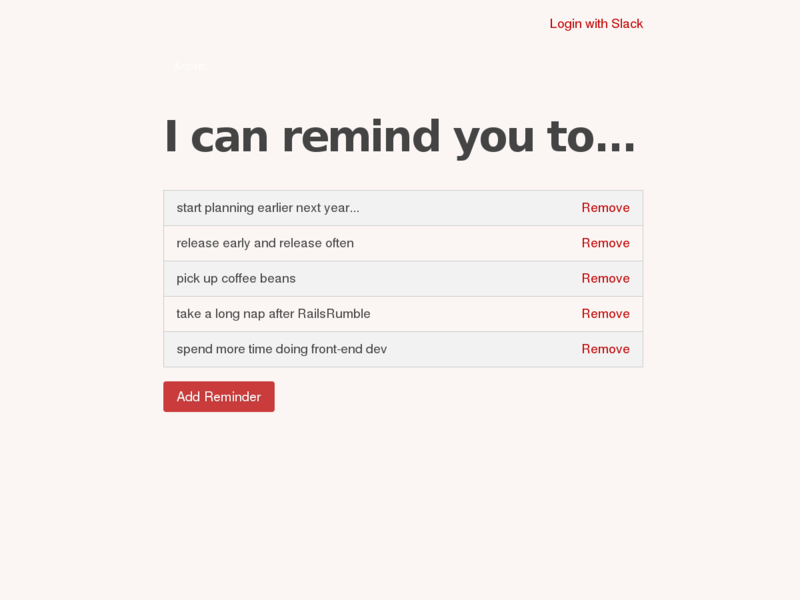 For the duration of RailsRumble we will only post to your signed in users #slackbot channel. This is to keep the requested permissions to a minimum as suggested in the competition guidelines.